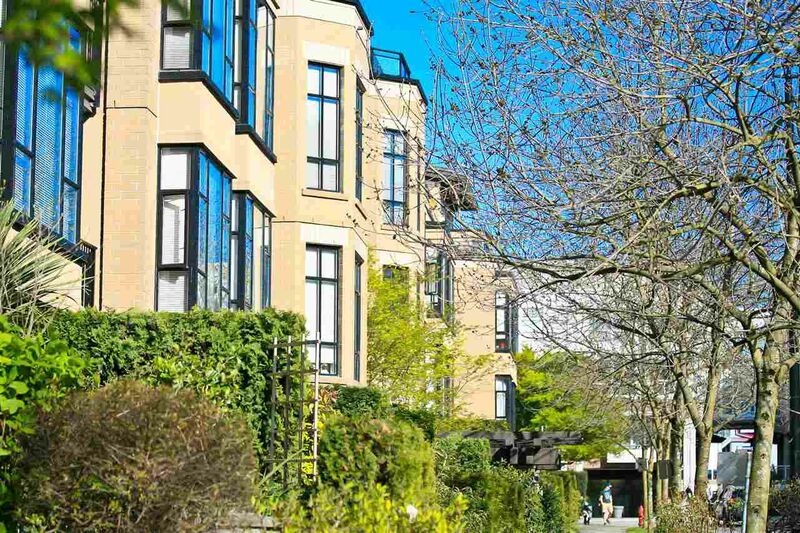 This is the unit you have been waiting for - amazing 1,201 sq ft top floor, SW corner suite in the Savona. This fully renovated 2 bedroom and den (or 3 bedroom) home must be seen to be appreciated. 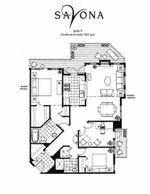 11 ft ceilings in the living room & master bedroom, and 9 ft ceilings through the balance of the suite add to the bright and airy feel of the suite. Updates include Brazilian hardwood throughout the unit and newer carpet in the bedrooms, fabulous gourmet kitchen custom designed by Paradigm, with Cambria quartz counter tops & top of the line appliances. The 2 bedrooms are very large and bright, and the den makes a perfect office, but could be used as a guest room / 3rd bedroom, plus 2 parking & a locker. Easy to show.